9 Police Officers Killed by Taliban in Afghanistan. 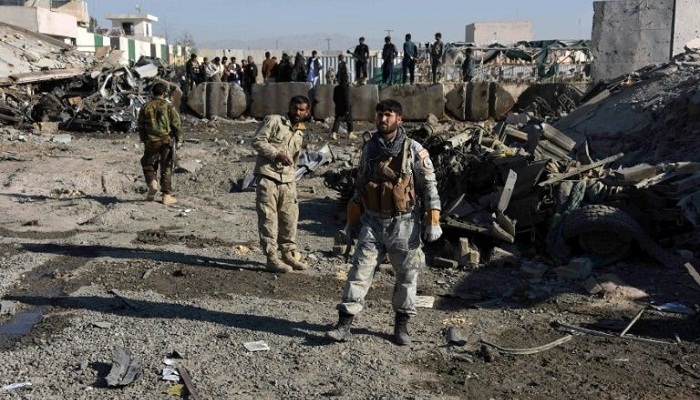 When an attack by the Taliban on police stations in the southeastern Afghan province of Ghazni, nine police officers were killed. The local authorities Express Paper report that. Four agents were injured. The attack took place in the Jighatoo district, according to regional MP Mohammad Arif Rahmani on Twitter. “Afghan army tanks in the valley did not come to the site to assist the police officers,” he writes. Taliban spokesman Zabihullah Mujahid has claimed responsibility for the attack via Twitter. He stated that the militants in the checkpoints killed eight police officers and wounded five others. The number of attacks on government institutions and security posts has increased since NATO ceased its combat mission in Afghanistan in 2014. On Monday morning 17 Afghan security forces were killed in a series of attacks on checkpoints in the province of Badghis.